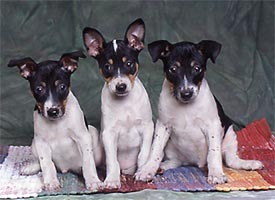 Burzs Rat Terriers, 20 years breeding experience. 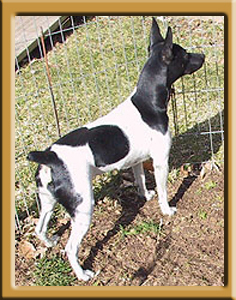 For Love of the Rat Terrier......" Earth"
Rats have many personalities and each is individual but what they do share in common is intelligence, loyalty to there people and a willingness to learn and please. 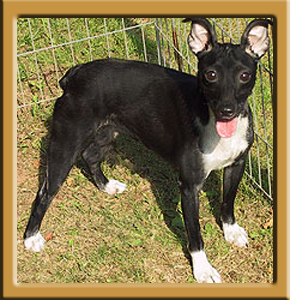 Many pups and dogs have gone to live with other animals including ferets, dogs, cats and birds. Each has co-existed very nicely with there animal friends in each situation. 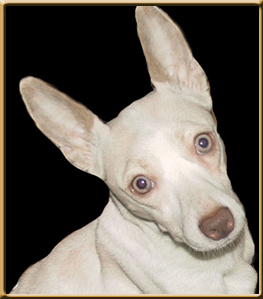 Rats love children provided they are supervised properly by there parents in how to interact with a puppy. 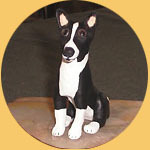 They come in a variety of sizes - Toy, Mini and Standard and the Decker Strain. 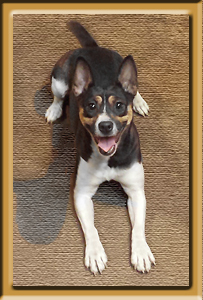 There are a host of colors including Black Tri - Tri Blue - Blue/White - Black/White- Chocolate/White - Black and Tan - Pearl, Lemon, and Apricot. Their patterns vary from Solids to Tuxedo to Piebalds. 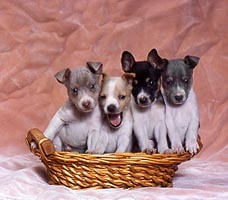 animals very well making them the ideal family pet. Because of there small size, they do exceptionally well in apartments that do not have a lot of space. 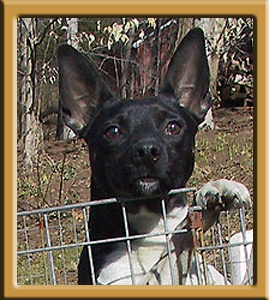 Some of Burz's dogs in there forever homes can be seen here. 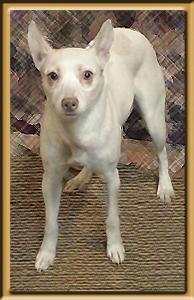 .Click Here For Available Adoptions .. I am proud to have founded the NRTA and have been the President since 1996. My dogs have been featured in the following books. 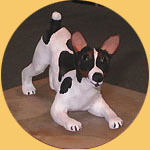 Rat Terrier Special Limited Edition, Rat Terrier by Logan Lane and The Decker Rat Terrier by Eli Brown. 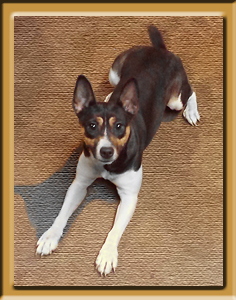 My interest is to extend my knowledge to other breeders associated with the NRTA. 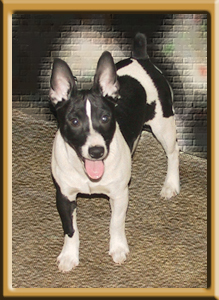 After seeing and hearing about puppy stores, puppy brokers, backyard breeders and certain Rat organizations, I felt the need to create a solid Rat Terrier registry and informative website. 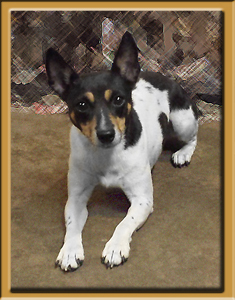 The NRTA's registry was created to preserve the original Rat Terrier breed from when they came into existence and to keep track of their health and well being. 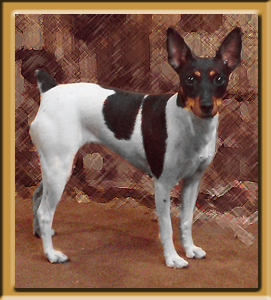 By tracking coat color genetics, The Decker Strain, 3 sizes and two body types and never changing a registered dogs name it preserves the breed as it was originally founded. 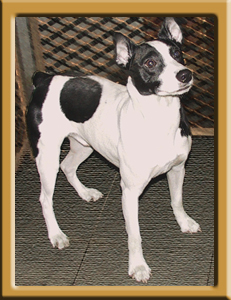 The NRTA also helps to promote healthy and quality Rat terriers with gathered knowledge of breeding, veterinarians and mentoring from educated breeders. 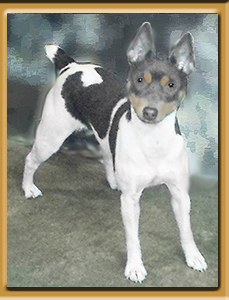 Concentrated efforts are to prevent breeding of unhealthy or genetically sick dogs. 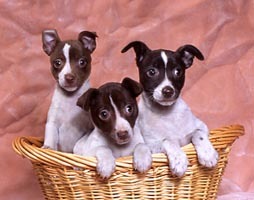 The registry has been going strong and helps give Rat Terrier owners piece of mind when buying a puppy. But first and foremost this is all done for the love of the breed and that alone. ... Some baby Rats From the Past ! !